The mission of SoloStream is to create easily accessible content, products, and services that help small businesses, organizations, and individuals. The WordPress themes from SoloStream is a perfect solution for any online business or presence. 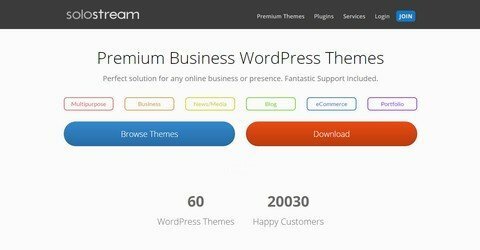 All readers at WP Daily Coupons get 50% Off any membership plans (60+ Premium WordPress Themes) from SoloStream by using the code. No time limit.